I love shopping at Cost Plus World Market! They have so much to offer! 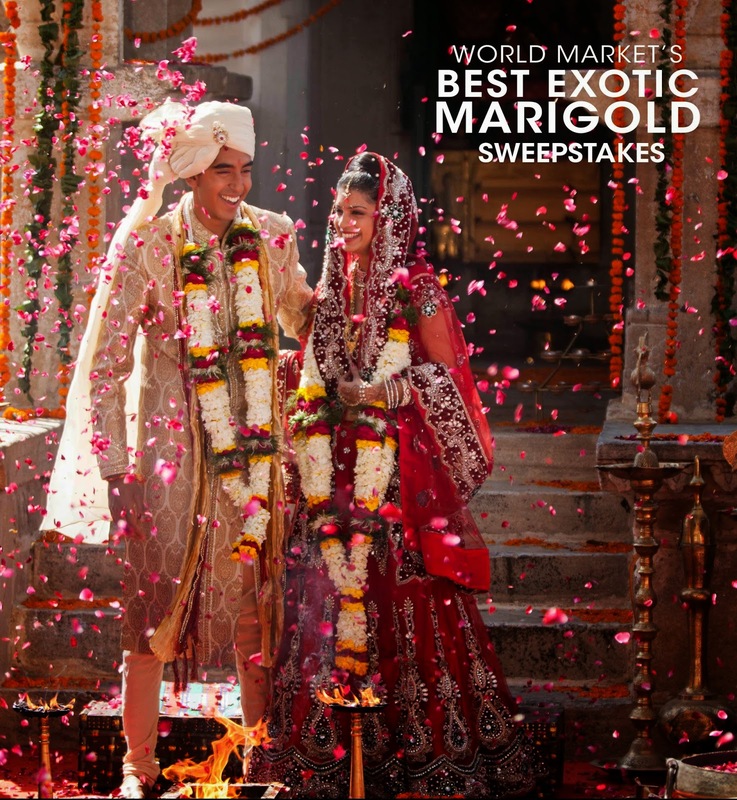 Have you heard about World Market’s Best Exotic Marigold Sweepstakes? 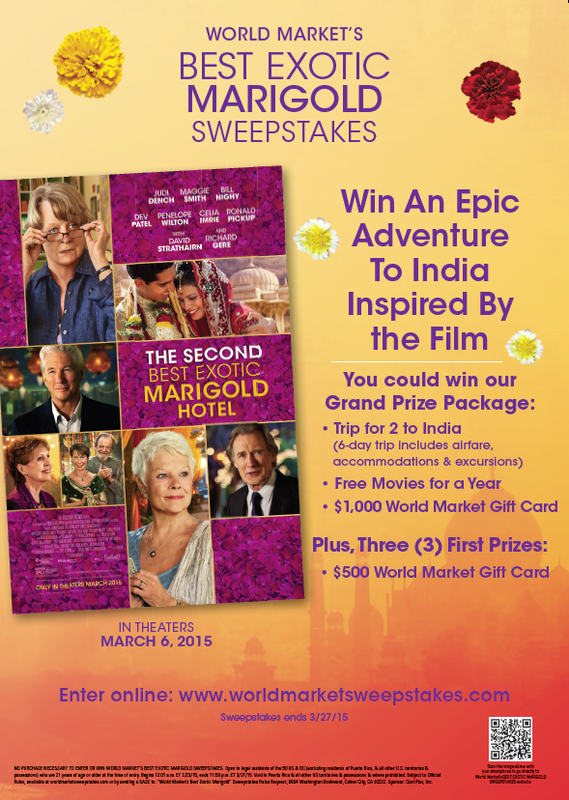 You can win an Epic Adventure to India Inspired by the Film! Now, before I tell you about it- let me share with you a bit about the film! 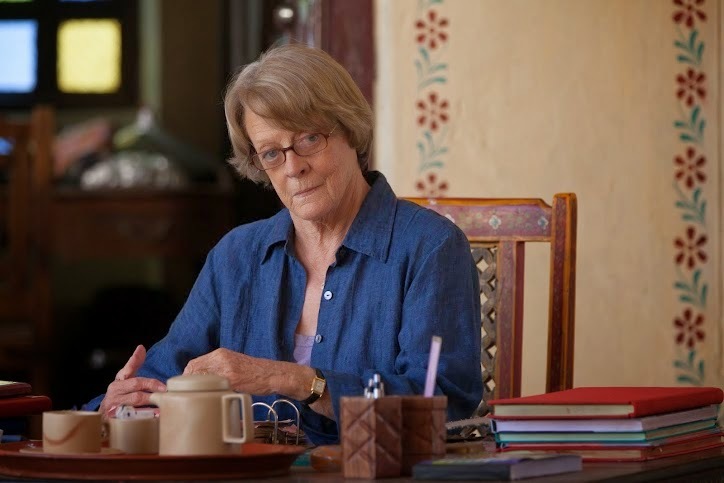 The Second Best Exotic Marigold Hotel (in theaters March 6) is about a guy named Sonny whom is about to get married wanting to pursues his expansionist dream of opening a second hotel. As the Best Exotic Marigold Hotel has only a single remaining vacancy - posing a rooming predicament for two fresh arrivals! It has several familiar faces that I just love and adore! Check out the trailer below! It looks like a really great movie! Visit www.worldmarketsweepstakes.com to enter today! Sweepstakes ends on 3/27/15! Did you know that THREE First Prize winners will win a $500 World Market Gift Card? YES Please! If I won that gift card I would purchase Indian decor! Cost Plus World Market has so much to offer! Check out my image below! 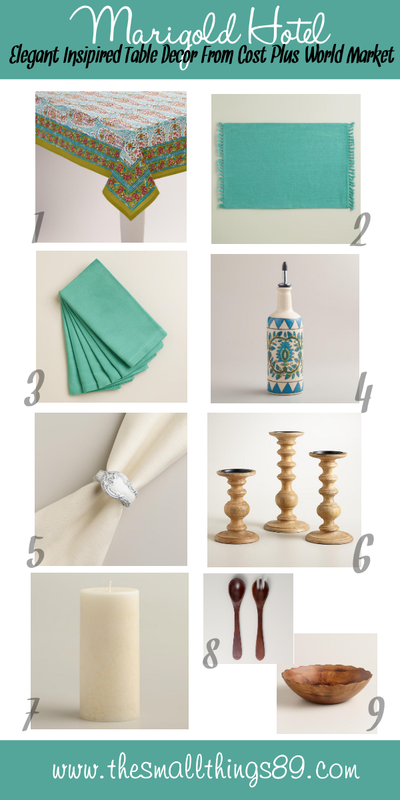 They have so many products that you can decorate your own Indian inspired table with! Nothing like a beautiful elegant table and some Indian food right? I found these amazing products on their website! I love the colors because it is a touch of Indian without too much color. It doesn't take much to decorate. If you are not the "decorative" type of person, I recommend starting slow and don't over do it. Sometimes too much can overwhelm. You want just enough! The products I chose are listed in numbers below!Check it out! 1- Indian Paisley Leela Tablecloth-This tablecloth is only $34.99! I love the pattern! The color isn't too loud! 2- AquaHerringbone Placemats, Set of 4- You can't have a dinner without placemats! You can find these for $19.96! 3- Dusty Aqua Buffet Napkins, Set of 6- I thought these fit in well! I just adore the color if you couldn't tell! They are only $9.99 and you can wash them! 4- FloralHand-Painted Ceramic Oil Bottle-How beautiful! It is made in India and HAND painted! Guess what? It is only $12.99! Not only will it come in handy with your Indian food, but it will look pretty too! 5- WhiteEnamel Napkin Rings, Set of 4- Now, I couldn't resist these because they can be used for other occasions too. These will look great with the napkins! They are only $11.96 too! 6- Natural Wood Pillar Candleholder- I thought that this would add the perfect touch to the table! They are gorgeous and affordable! Prices vary starting at $12.99! 7- 3"x 6" Mottled Madagascar Vanilla Pillar Candle- You can't have a elegant Indian dinner without candles! These candles will look gorgeous on the candle holder! They are only $7.99! Who doesn't love the smell of Vanilla? 8- Angled Wood Salad Servers, Set of 2- When you eat dinner, you HAVE to serve salad! It is a must. I thought that these were nice and they are only $9.99! 9- Lastly, this Mango Wood Scalloped Salad Bowl will give you the last touch on your table! It is only $24.99 and will be sure to wow anyone at your party! What do you think about the Indian inspired decor I showed you? I just love it and can't wait to buy some for myself! Head on over to Cost Plus World Market or visit them on their website and get started on your adventure of decorating! You won't regret it! Visit them via one of the links below while you are here! Thanks for reading! Visit www.worldmarketsweepstakes.com to enter today! Sweepstakes ends on 3/27/15! Did you know that THREE First Prize winners will win a $500 World Market Gift Card? I love all of these! The napkin rings and the tablecloth are my favorite though. So pretty!